The Law Offices of Sabrina C. Fernandez has been established since 2002 to provide aggressive, yet caring, representation to those who need legal assistance in the areas of Family Law, Domestic Violence, Criminal Law and Guardianship matters in Orange, Los Angeles, Riverside and San Bernardino counties. 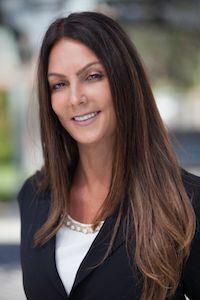 Sabrina C. Fernandez has more than 16 years of experience working in the areas of Family Law and Criminal Defense and more than 25 years of experience in the legal field. Right out of high school Sabrina began working as a legal assistant in a civil firm and continued up to, and including, law school doing work in personal injury and immigration. After opening up her own practice, upon being licensed in the State of California in 2002, Sabrina has focused her practice to Family Law/Domestic and Criminal matters only. Going through a divorce or being charged with a crime is understandably very personal and stressful. It is expected and normal that people going through such bad times are emotional which makes it crucial to have an attorney who is confident, skilled and can guide you through the intense legal process with honestly and compassion. Our firm will work with you like a team to assist you and your needs. Our goal is to make a difficult situation less stressful while achieving positive results for you and your family. Our Mission is to maintain the highest level of integrity, communication, assertiveness and compassion every step of the way. We are conveniently located, right off the 5 freeway exit of La Paz Rd., in the beautiful city of Laguna Hills. We look forward to working with you.